In ministry, as in many walks of life, affirmation does not always come easily. That’s why when it does come along, it is really something to celebrate! 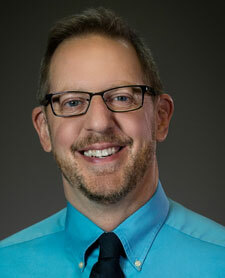 With that in mind, I am happy to share some good news with you: a video that I wrote and hosted for the God’s Gift: Eucharist program for Loyola Press recently won an award! 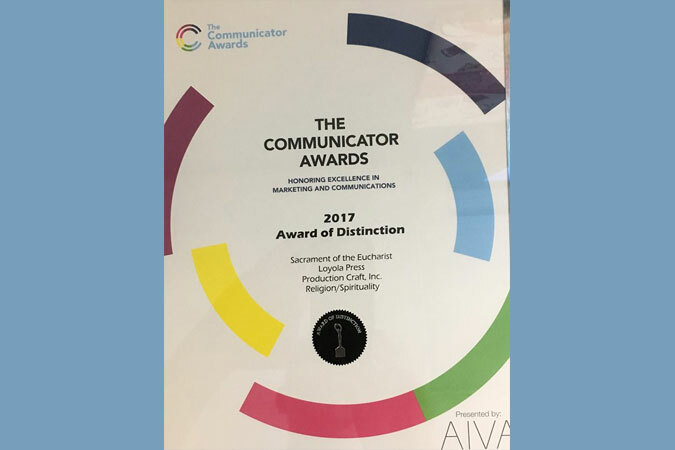 The Academy of Interactive & Visual Arts announced that the “Sacrament of the Eucharist” segment of the God’s Gift DVD series has been awarded a 2017 Communicator Award. You can view a sample of the award-winning segment here. 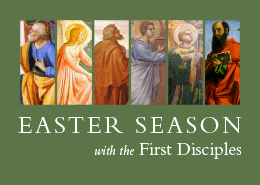 In this segment (DVD 2), I lead viewers through an informative explanation of the Mass, along with what to expect, and I help families walk step-by-step through a deeper understanding of the Sacrament of the Eucharist. 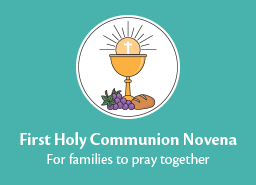 I had the joy and privilege of working with three children in this segment, teaching them a deeper understanding of the Eucharist and how to receive Communion with reverence. Dramas—The essence of each sacrament is presented through a heartwarming story of family and friends. Informational/How-To Videos—I lead viewers through an explanation of the rite, along with what to expect, and help families walk step-by-step through each sacrament. 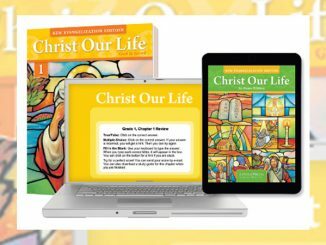 God’s Gift Chapter-by-Chapter Tracks—Master catechists share key faith concepts through engaging mini lessons that follow the Child’s Book. Personal Testimonials—Catholics of all ages share real-life stories of the grace they found in celebrating each sacrament. See samples of all video types here. The Communicator Awards is the leading international awards program recognizing big ideas in marketing and communications…The Communicator Awards honors work that transcends innovation and craft – work that made a lasting impact, providing an equal chance of winning to all entrants regardless of company or agency size and project budget. If your work moved people, we want to give it a chance to take home a Communicator. The Communicator Awards is sanctioned and judged by the Academy of Interactive & Visual Arts, an invitation-only group consisting of top-tier professionals from acclaimed media, communications, advertising, creative and marketing firms. AIVA members include executives from organizations such as Airtype Studio, Big Spaceship, Conde Nast, Coach, Disney, The Ellen Degeneres Show, Estee Lauder,…Wired, and Yahoo! My heart is filled with gratitude for this wonderful honor! 2 Comments on Sacrament Video Wins Award!